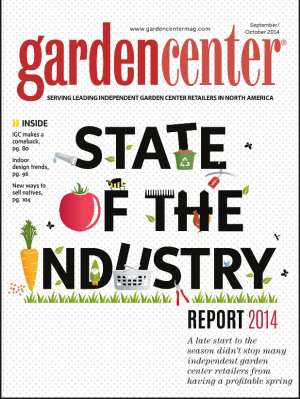 This article was originally published by Garden Center Magazine for their October 2014 State of The Industry issue. Pdf of print article with photos linked below. When asked to write about the state of the green industry this year, the first thought that came to my mind was the word “identity.” Do we have a good sense of our identity as an industry and as individual businesses? What about individual professionals in the green industry? 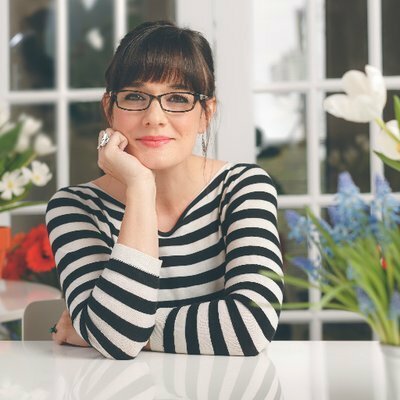 From what I see at many independent garden centers these days and hear from business owners and younger professionals, I’d say as a group we’re experiencing a bit of an identity crisis, a crisis that needs to be resolved if we’re going to inspire confidence in our customers. In order to do that, we first have to inspire confidence in ourselves. Interestingly enough, our customers’ identities are evolving right before our eyes, and they don’t seem to have any problem defining who they are. They are finding new ways in which to define themselves as gardeners. For example, many small scale city gardeners now simply refer to themselves as “farmers” or “urban farmers.” The word “gardening” is typically left off the table with this growing segment of the population. Yet, ask most IGCs to clearly define their business identity and it may be a strained conversation. So the question is, are we evolving our identities clearly and fast enough to keep up with our customers? Have we as an industry evolved to meet their needs and expectations? If you find yourself struggling to define who you really are as a company or as a professional, it may be time to do some soul searching. If that isn’t a question you can answer, then we need to get out a pen and some paper and get to work. In order to really hone in on your company or professional identity, you’ll need to focus on where you stand in your market. First, let’s make an honest list of your strengths and weaknesses. For your strengths, you need to list what you think makes you better than other companies or professionals in your market. What gives you an advantage over the rest? Do you fill specific niches others don’t? When it comes to weaknesses, what about you or your business leaves you vulnerable to the competition? Are there things that you’re trying to do, but just don’t do well? Be brutally honest when you make these lists. Based on your strengths and weaknesses, we next need to make a list of opportunities you think are available to you. Then list the hazards you or your business face based on the same conditions. These hazards, or threats, could be other companies that are already outperforming you, or environmental and economic issues, or local customer preferences that don’t favor your strengths or weaknesses. Traditional marketers call this a SWOT (Strengths, Weakness, Opportunities, and Threats) analysis. Customers choose to buy from you because they’ve made a connection to the value you can offer them. That perceived value comes from your special products, services and prices. Are you clearly communicating that value proposition to your customers right away? Creating a value proposition for your company takes work and time, but to simplify things I’ll just challenge you with this question: Can you state in one sentence, in 12 words or less, exactly who you are and what distinguishing product or service you offer? If not, there is your second piece of homework. If you happen to be a young professional in the industry struggling to define your own identity, I’d suggest going through the exact same SWOT analysis. Treat yourself like a business brand! What you’ll learn from experience is that you constantly have to sell yourself in order to succeed. How can you sell yourself if you aren’t very clear about your own strengths and the niches you can help fill? Defining your own personal professional brand can help you better choose the right path of employment and even help you launch your own business. Relevancy is the “now” buzzword. Customers are looking for products and companies they can relate to; ones that already appear to fit right in with their existing lifestyle and where they already shop. If your projected identity doesn’t fit your desired customer’s identity and lifestyle, they’ll pass you over. Remember that your identity is reflected not just in the products you carry, but also your company branding and style. If your business looks like it was branded in the ’80s (and not in a retro-chic kind of way), then you might as well kiss the younger crowd goodbye. The connection also needs to be made quickly. When you build a website these days, you’d better make sure your customers don’t have to click more than once or twice to get to the basic information they’re looking for. How many times does your customer have to click on your website before they can figure out exactly what you have to offer? If it takes four or five clicks, or questions, or visits to your garden center for your customer to figure out what value proposition you’re offering them, chances are you’ll lose them. How flexible are you willing to be with your identity? “Stubborn” is probably a word we could all agree applies to a good segment of our industry. We tend to cluster, create cliques and don’t want things to change. Yet, that’s not the way to thrive in a changing environment and economy. Change and transition can create opportunity. Don’t be afraid to break some rules, throw old methods out the window and try something new. Holding on to an old identity because you think you’ll upset old customers by changing it can paralyze you and your business. With flexibility should come positivity and passion. I’m a downturn investor: That means when the going gets tough, I look for potential beneficial opportunities. There is a lot of untapped opportunity available to the green industry at this very moment. Are you willing to step outside of your comfort zone to grab it? With every shift in customer profile comes new niches and opportunities. Instead of being discouraged by the evolution of consumers away from traditional gardening and toward decorating, perhaps we should embrace that trend and control the conversation ourselves. Within the green industry, I feel we’re on the cusp of a big boom of fresh entrepreneurialism. Some of that new business opportunity stems from the changing needs of our customer; some from how we have to restructure our company identity and operations. If you don’t figure out how to meet an evolving need, someone from the outside is probably waiting in the wings to take your place. Online sales is a great example. When it comes to recruiting, fresh young talent may choose to start their own business rather than work for companies that don’t seem relevant to them. So, when it comes to crafting your company or professional identity for 2015, be bold, be yourself and don’t be afraid to take calculated risks!